One of the best technologies of modern cosmetic dentistry is the porcelain veneer — a thin shell of ceramic that bonds directly to the front and top surfaces of your teeth. Veneers make it possible to instantly improve your smile by eliminating gaps between your teeth, stains, or by concealing teeth that are poorly shaped or crooked. At our Madison, NJ, dental office, we design your veneer treatment plan by considering your entire face, mouth and lips so you get a totally customized smile. When bonded to the teeth, the ultra-thin porcelain veneers are virtually undetectable and highly resistant to coffee, tea, or even cigarette stains. For strength and appearance, their resemblance to healthy, white tooth enamel is unsurpassed by other restorative options. 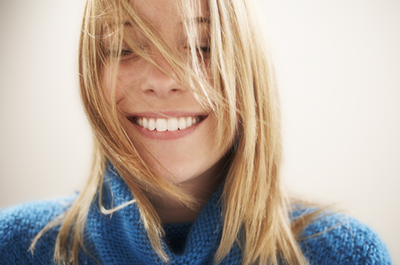 Because they are thin, light can shine through them so they blend with the natural color of your underlying teeth. With proper care, porcelain veneers will enhance your smile for well over a decade. Our doctors will ensure that your veneers are crafted from the highest quality porcelain and are bonded with the most advanced and proven materials available. Find out how Adams Dental in Madison, NJ, can design porcelain veneers that make a dramatic impact on your smile.